As every year the winter becomes eternal as we wait for the opening of a new fishing season. During those months we prepare for what will be the best days by the river, enjoy the fishing and the good company. 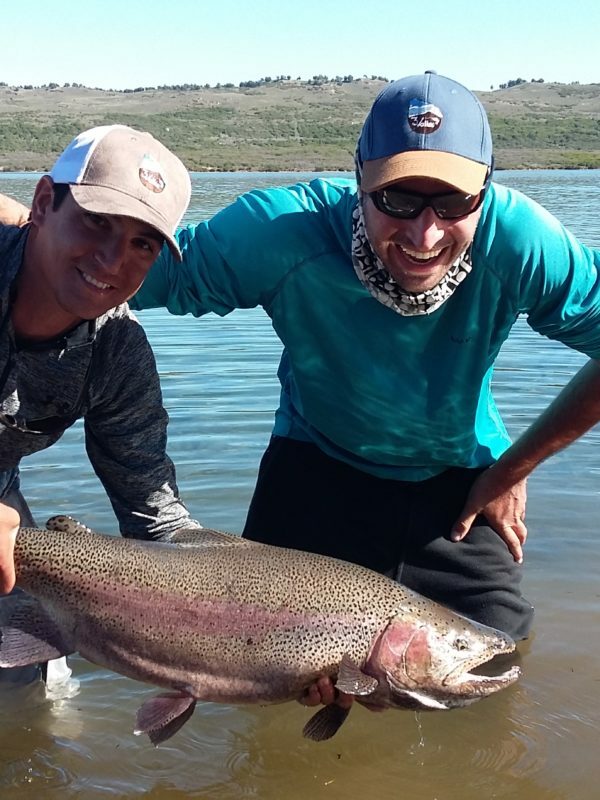 The fishing season began in November, in the Rio Pico area the beguining was very positive for the development of fly fishing, the weather was particularly good, and although the wind was present with a lot of impetus, it did not prevent Enjoy great days. 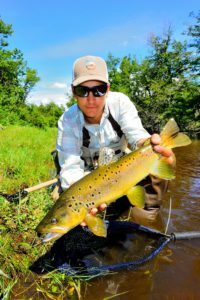 In spite of the recent journeys, the trouts are in excellent conditions of quality and vitality. 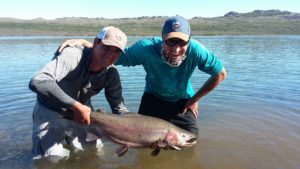 Along the fly fishing days, we made a large number of catches and the action was constant, including several trophy fish. According to the season, the trout were not selective, which allowed us to fish with all the techniques and variants, resulting in a very entertaining start of the season. Flies such as fat alberts, chernobyl ants, foam beetles and floatation lines were effective in rivers and lakes. Occasionally some classic streamers or nymphs style worms and leechs were the key to success. 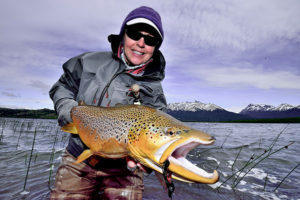 In smaller environments, keeping the distance and lengthening the leaders along with smaller dry flies as parachutes, resulted in captured and smiles that were recorded in the memory of fishermen and guides. 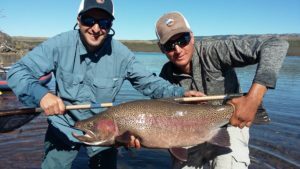 We can conclude after the two months transited from the fishing season 2016-2017, that this will be a new great fly fishing season, where we can enjoy the fishing spots that Tres Valles Fly Fishing Lodge can offers us to enjoy the best moments with our guests.